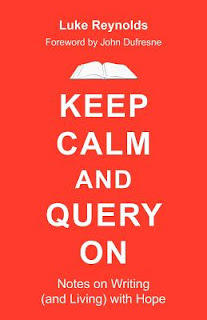 I couldn’t have picked a better week to post my Thumbs Up review of Luke Reynolds’ KEEP CALM AND QUERY ON (Divertir Publishing, 2012), a veritable Rx for Any Writer’s Spirit. 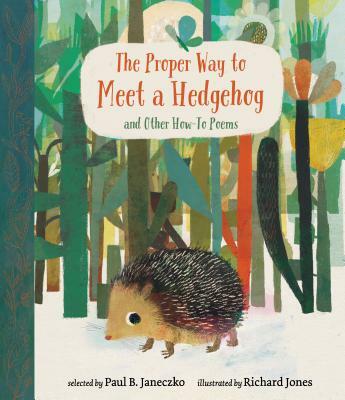 The book’s subtitle says it all: “Notes on Writing (and Living) with Hope. 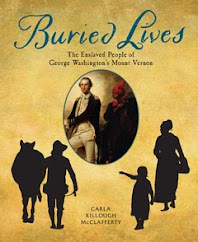 Like my fellow TeachingAuthors Jeanne Marie, Carmela and Jill who so generously shared their Writing Lives these past two weeks, Luke Reynolds pulls back the curtain on his magic-making too, in honestly examining his Writer’s Life, letting us see and know the goings-on. Because that’s what writers do, Reynolds reminds us in this two-part collection of personal remembrances and essays: they go on! Despite Jobs, Families, Life, Emergencies. Despite Failures, Rejections, Turndowns, Turn-backs. Reynolds has the kind of resume our readers love. A former teacher of grades 7 through 12 and writer of children’s fiction, he’s the editor of the forthcoming book for teens and tweens BREAK THESE RULES (Chicago Press, 2013). He co-edited BURNED IN: FUELING THE FIRE TO TEACH (Teachers College Press, 2011) and DEDICATED TO THE PEOPLE OF DARFUR (Rutgers University Press, 2009). 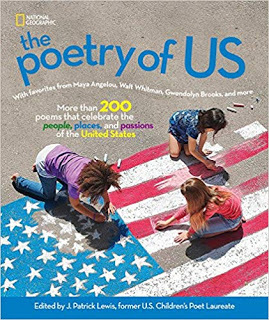 Teachers College Press also published this year his latest book for teachers, A CALL TO CREATIVITY: WRITING, READING, AND INSPIRING STUDENTS IN AN AGE OF STANDARDIZATION. In Part One of KEEP CALM AND QUERY ON, “On the Path,” Reynolds shares his journey, past and present. Each chapter's title is the stuff of a cross-stitched sampler. When I finally sold my first trade children’s book, I crowned myself (deservedly) “The Susan Lucci of Children’s Books;” I proudly wear the title. 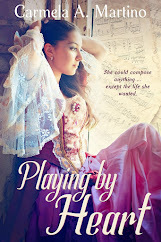 But reading Reynold’s story, warts and all, calmed me, emboldened me, encouraged me – GO ON! Oh, to have had his words mid-way in my writing career. It always feels so good to know we’re not alone. 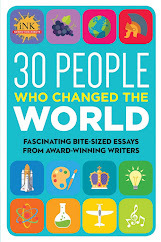 In Part Two, “Finding Footsteps,” heralded writers (Daniel Handler, Jane Smiley, Ann Hood, Robert Pinsky, John Dufresne, just to name a few), answer Reynolds’ thoughtful questions, thus giving peeks inside their writing lives. What inspires you to craft prose, and what deflates you (if anything)? Can you share a particularly difficult rejection story and how you overcame the emotion of that experience? How do you feel before you write, while you’re writing, and after you write? What kinds of writing support do you need or greatly appreciate as you work? Honest bon mots made me sit up and listen. Oh, to have read these authors' words mid-way in my writing career. Once again, I was calmed, emboldened, encouraged – GO ON! I repeat: it always feels so good to know we’re not alone. The truth is, no matter when or where or how we work, at some point in the process, our Writers’ Spirits are bound to lag. 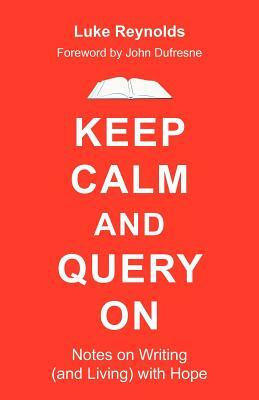 Except now, thanks to Luke Reynolds, we can keep calm and query on! To sample Reynold’s graceful writing and earnest Writer’s World vision, check out Hunger Mountain, the Vermont College of Fine Arts Journal of the Art. And, stay tuned for a TeachingAuthor Book Giveaway somewhere down the road of this Rx for Any Writer’s Spirit, KEEP CALM AND QUERY ON.